So it's time to start making those Easter projects, oh joy! I love Easter and everything about it. There are so many things you can make and so many graphics, stamps, backgrounds and other tools you can use to create your projects for Easter. In this guide, we are going to focus our attention on Easter Bunny digi stamps. 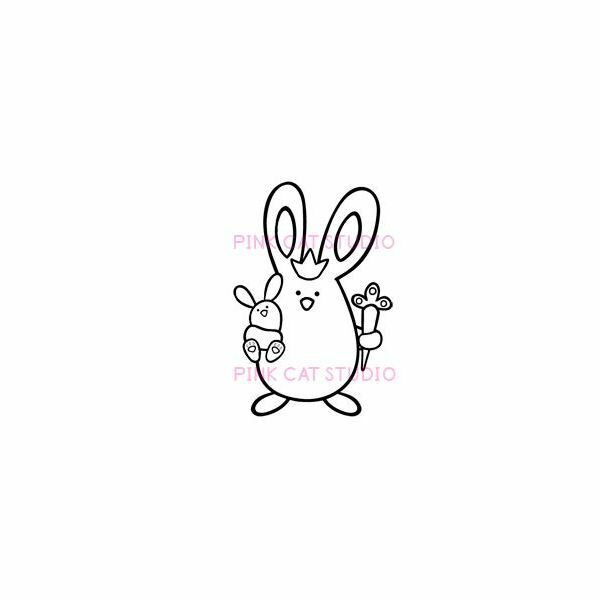 If you are looking for bunny digi stamps for your craft projects, continue below. To visit the links in this guide, please use the links in the resources section at the end of this article. Here comes Peter Cottontail flying down the bunny trail. 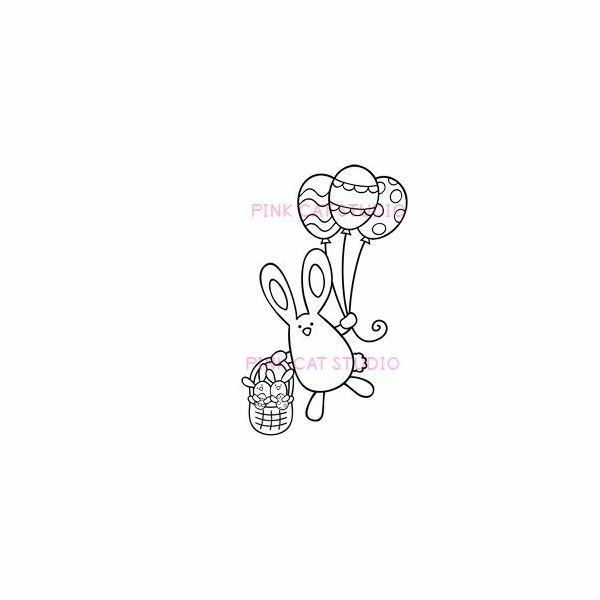 The first Easter Bunny digi stamp we will take a look at is the bunny and balloons digi stamp. 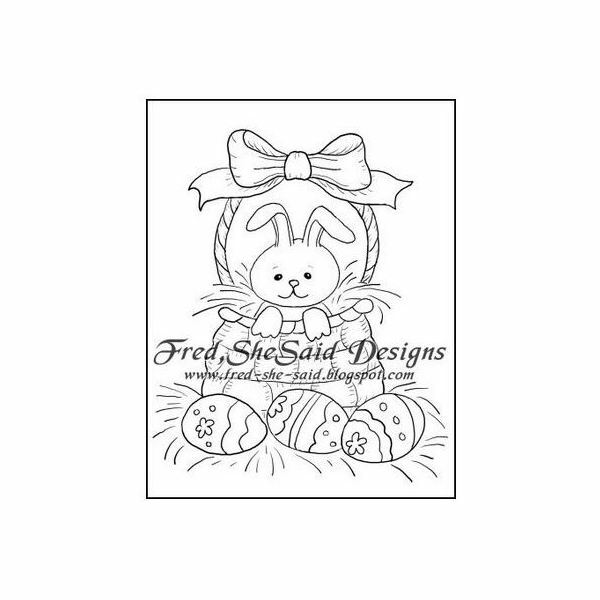 This is a cute stamp of a bunny holding Easter egg balloons and an Easter basket. The bunny appears to be flying through the air. With this stamp, you could create beautiful greeting cards for Easter. Bright colors could be used for the stamp, or you could go with pale colors, either would look beautiful. You could also use the digi stamp for things like scrapbook pages and Easter party invitations. The next set of digi stamps in this list is absolutely adorable. With this set, you will get two bunnies; one sitting down holding a flower, and the other standing up holding a carrot. These bunnies are so cute and would add to any type of Easter craft or project. These would be exceptionally cute on a child's scrapbook page. 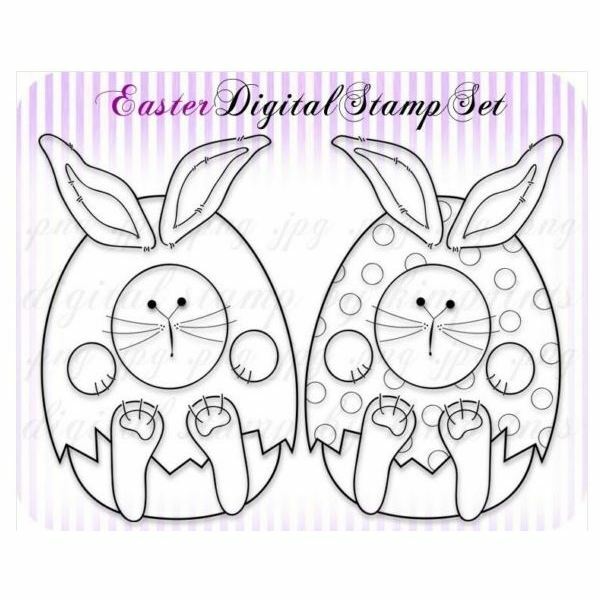 I love these two digi stamps with the bunnies inside the Easter eggs. One of the eggs is polka dotted and the other is plain. These two stamps would look really nice with greeting cards for Easter. They would also work well with scrapbook pages and flyers. Pale colors and bright colors would work with the digi stamps. Of course the choice would be made by judging the project you are creating. If it is a bright project, then you should most definitely go with bright colors and vice versa. Up next in this list of Easter Bunny digi stamps is the princess bunny. Princess bunny is carrying a carrot in one arm and a small stuffed bunny in the other arm. This is one of the many digi stamps you can find at Pink Cat Studios. I think this digi stamp would work better for greeting cards, invitations, or flyers. The last digi stamp in this guide is of a bunny sitting in an Easter basket. Around the outside of the Easter basket are Easter eggs. This is a very sweet looking digi stamp that would go great with Easter scrapbook pages. I think this particular digi stamp would look better using pale colors to fill it in. It just looks like the type of stamp that would do better with soft colors. All screenshots are the property of their respective sites and designers.